Croquet is a game of strategy, tactics and skill. 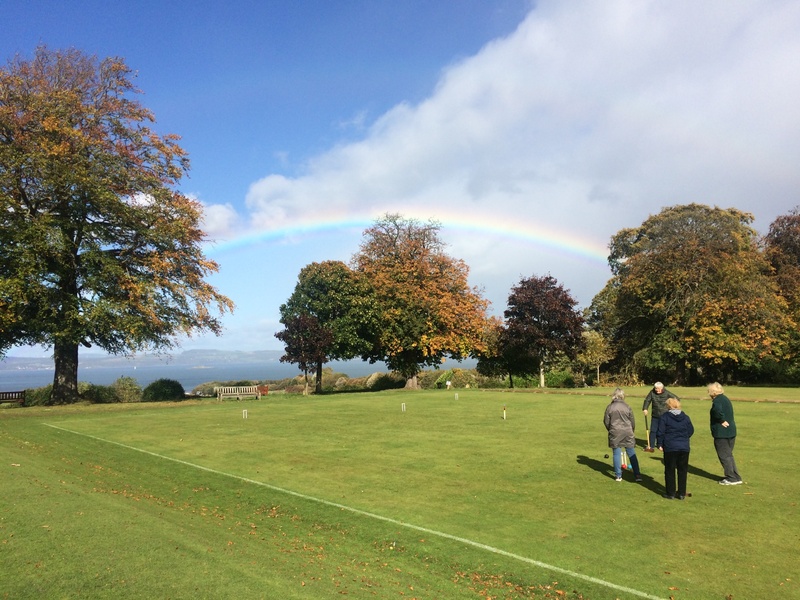 The Edinburgh Croquet club is based in the magnificent surroundings of Lauriston Castle in Edinburgh with the lawns having a fabulous outlook over the waters of the Firth of Forth. On this site you'll find information about our activities and facilities, along with details of how you can participate in this unique sport. We hope you will find all of the information you are looking for about our club. The 2018 season is now over. The new season starts on Saturday 13th April and Sunday 14th April. During the season both Association Croquet and Golf Croquet session are held during the week (details on the "Calendar of Events" page). We are very lucky to play on lawns with a spectacular view of the Firth of Forth and sometimes even a rainbow!